Maybe I can’t get my head out of the long car ride mode of late summer, but recently it feels like every song I hear sounds like it belongs on a soundtrack to an indie flick about miscreants smoking cigarettes and charging down a desert highway away from their past lives and responsibilities. The initially-hushed bass line and driving drums of “A Matter of Call” charge into a crescendo, accelerating the image of ragged reckless abandon of adolescent summer time. 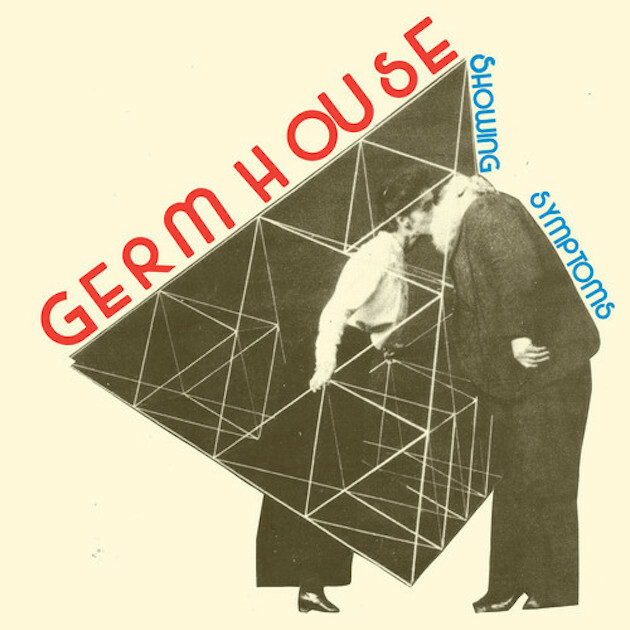 Germ House’s Justin Hubbard and Tara McManus already came of age though, coming up playing in different groups in the music scene of Boston before moving to New Mexico. What started as Hubbard’s home recording project grew into the husband and wife team, plus bass player buddy Joe, bringing the arid lo-fi melodies in the form of a DIY punk mirage on stage. “A Matter of Call”, the first track off Hubbard’s debut as Germ House, reeks of sandcaked skin and sunbaked brains. It sounds like the best of Jay Reatard except with less focus on the hopeless tragedy of living and more about the general compromises (good and bad) that go into the experience of it. The gravely lofi recording gives you the impression of distance, like the song’s either flooding out of your open car windows or whizzing past you momentarily as the car playing it barrels down the open road. Check out the debut of “A Matter of Call”, streaming below. Showing Symptoms comes out August 26 via Trouble in Mind Records.